This is the first of a two-part interview with Electronic Arts chief design officer Patrick Söderlund conducted during the pre-E3 EA Play event last week. The second part will run next week. In April, Electronic Arts named Patrick Söderlund its chief design officer, marking another step up the corporate ladder for the man who was CEO of DICE 12 years ago when EA acquired it. But where some developers find that promotions take them further away from the actual creativity involved in game development, Söderlund told GamesIndustry.biz at the pre-E3 EA Play event this year that his new appointment actually has him more heavily involved in creative and design work. "My job now is to still be heavily involved in the products, but more from a creative and design perspective, and to be co-approving everything that we do. I'm involved in some of the production gates, but first and foremost from a strategic [perspective]. Are we building the right product at the right time for the right market? Does it have the right design and do we have the right plan to execute on it?" "What does it mean to be a game designer inside of EA? What's the remit of that role, the accountability, the responsibility of the game designer?" Söderlund's role also now spans the company. Previously, as executive vice president of EA's worldwide studios operation, his focus was on the creation of specific games, but now he has responsibilities stretching into EA's marketing and technology operations as well. He works with marketing teams on a creative and conceptual perspective, making sure that whatever campaigns and assets go out are striking the right tone and message. On the tech front, Söderlund likens himself to a board member for chief technology officer Ken Moss' tech team, offering input on the roadmap for Frostbite engine development and trying to ensure EA is prepping for the future in the right way. He has fewer direct reports now, but finds himself in a more influential role across the company that should "absolutely" be seen as signalling a change to EA's overall approach. "This change came about because we wanted a more intense focus on creativity in the company, a more intense focus on holistic creative thinking, and thinking about it from an experience perspective across the whole company instead of in silo on a single game," Söderlund said. When asked if anything specific hammered home the need for such a shift in approach, Söderlund vaguely alluded to past issues. "Maybe this is too personal," he said, "but now that I've been in my new job for roughly two months... When you run a large organization like the [worldwide] studios organization, when you're on the hook to deliver all these games, you're kind of in that zone and in that mess. It's a fun job and an exciting job, but I found it hard to find space to take a step back and look at things slightly more holistically." Söderlund said that means working with chief studios officer Laura Miele to answer questions they hadn't really focused on previously. "Things like, 'What does it mean to be a game designer inside of EA?' What's the remit of that role, the accountability, the responsibility of the game designer? What's the design process? When we design games, are we applying the right methodology and process to design product? How do we foster a strong design community in the company? So as you take a step back and look at it, you can see there's work to be done there from a company perspective. Instead of it benefitting a single studio or a team, it can benefit the whole company. "Also in full transparency, listening to the people inside the company, the types of communication I get to me now and the asks and ideas people have? This is something I think we've been missing, and it's going to make EA a stronger and a better company." "Fair is the number one thing. When you buy a product from us, you should get full value for the money you spend"
Not all of EA's changes of late have been focused on addressing bigger picture problems. The company also appears to have changed its thinking on loot boxes, which became particularly contentious around the launch of Star Wars: Battlefront II. During EA Play, the company announced there would be no loot boxes in Anthem or Battlefield V.
"For us, we have come together after the learnings with what happened last year," Söderlund said. "We've put together a framework on how we believe a large service should function, and it's something we apply across the whole company, across all products. "You have to look at it from the perspective of what's fair. Fair is the number one thing. When you buy a product from us, you should get full value for the money you spend. There should be a fair game economy in the game so you can't pay to win. We don't want you to be able to pay your way to be better than others. That's important to us. But we also look at trends in the market and see people are fine with paying for other things, such as how they appear in the game. That seems to be completely fine." Söderlund summarized the core pillars of EA's approach as ensuring players get value for their money, that they can't pay to win, and that they have the freedom to choose whether they want to engage with it. When we point out that FIFA Ultimate Team quite explicitly works on a pay-to-win basis, he referred back to the first pillar. "I think you have to look at Ultimate Team as a mode in a really deep game experience," Söderlund said. "If you pay $60 for FIFA, you get a game that is ginormous, with a single-player campaign in it, with online matches and tournaments, and a lot of free updates. You can choose to partake [of Ultimate Team] or not. The option of choice is super important... People look at that and say, 'It's a mode. I can choose to partake or not. That's fine. I paid my money for the game and there's enough value in there even if I choose not to partake of it.' And we see it in how many hours people play FIFA." 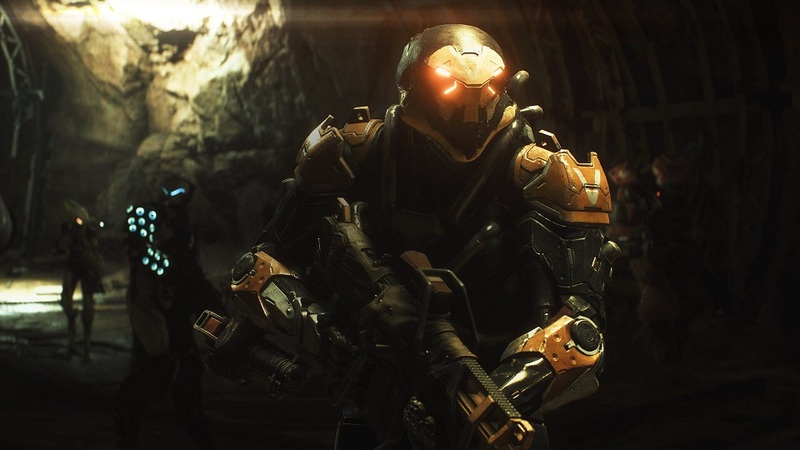 Anthem, perhaps, is a caveat-free example of EA's model in action. Söderlund emphasized the importance of EA being up-front on the game's lootbox situation as evidence the company had learned. "I think it's obvious we didn't get Battlefront right," he acknowledged. "So we have two options. We can either hide in the corner and pretend like we got it right and there's nothing here to see, or we can admit the fact that we didn't get it right, and we can course correct and show the world that we care. That's the path we've chosen." While the company's stance on loot boxes touches on Söderlund's responsibilities in development and marketing, its recent interest in streaming intersects with the technological component of his new role. EA showed off a demo of its upcoming streaming game service at EA Play, and when asked, Söderlund dutifully spoke of what it will do to ease of access and accessibility for games when one can play them whenever, on whatever device happens to be handy. He also briefly noted that the technology should eventually accommodate gameplay at 4K resolution and 60 frames per second, perhaps even higher. "Imagine a world where you have 10,000 AI agents you can talk to and have a meaningful conversation with, and they will respond to you intelligently. That's plausible today." However, it was clear his personal interest was driven less about how streaming will enable players to enjoy old content in new contexts, and more about how it will enable developers to create entirely new experiences unachievable through current means. "It's going to change how we look at games and the types of games we can build because of the access to far greater horsepower, basically," Söderlund said. "You can start utilizing large-scale simulations. You can see games with about 10,000 people playing in the same world. You can see very different types of game design coming out of this, which I actually think is when it's really going to take off. People will see, 'There's a convenience factor I like, but the types of experiences I can experience in streaming are different.'" Fortunately for Söderlund, EA is working on both. While the publisher's recently acquired cloud tech team works on the practical near-term application of streaming for a game delivery service, EA's SEED R&D team will experiment with how the technology can enable new game experiences. 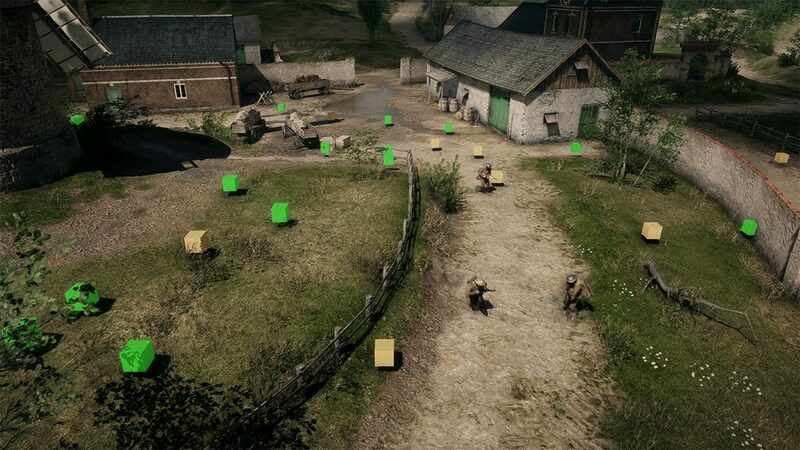 EA Seed has experimented with using machine learning to train multiplayer AI in Battlefield 1. "Imagine a world where you have 10,000 AI agents you can talk to and have a meaningful conversation with, and they will respond to you intelligently," he said. "That's plausible today. Imagine a world where we start talking about user-generated experiences rather than user-generated content. Imagine a world where we as a developer put four or five strings to a story in a world, and you as a player come in, and through your actions--what you do and say in the game--you will alter the story and create the stories yourself. It's very plausible. So Westworld without the physical representation, essentially. Those are the things we can do. People call it the metaverse, and it's going to become a reality. It's going to become a reality because of the access to cloud computing, streaming, and basically infinite horsepower in the cloud. "That's what SEED is working on, game experiences that are kind of out there. That's what I spend a lot of energy thinking about. What can that be? What does a game look like five years from now? If you go and see all these press conferences, you'll see a lot more polygons, fidelity, but you'll see more of the same. And I'm interested in how I define a completely new experience that people haven't seen yet? That has been kind of the Holy Grail of gaming. "The fact that you could have an intelligent conversation with an AI agent, and he or she responds back? It's interesting. It opens up gameplay possibilities we couldn't imagine. Couple that with worlds where you have deeper layers of simulation, where not only can you come in and shoot, but you can choose to be a farmer, a taxi driver, a nurse or a doctor, and there are deeper levels of simulation instead of just one layer of simulation, where the world continues while you leave... That's where I think we're headed. And I know a lot of it sounds like science fiction, like 'What is he talking about?' But I think we have to allow ourselves to go there to understand what we need to build long-term." Of course, such predictions in gaming are by no means rare. And Söderlund at least concedes his vision of the future probably isn't 20/20. "Maybe 80% of what I've said we'll find to be unrealistic," he said. "But if we can do 20% or 25% of what I just said, I know that games are going to be far more interesting three or four years from now than they are today. And that's my job. My job is to push people in that direction." If being fair is EA's number one priority, will EA be publishing the odds of getting the contents contained within the FIFA Ultimate Team Loot boxes? FIFA Ultimate Team microtransaction plays on all the effects of gambling, I can speak as a parent whose Teenager stole my credit card, then promptly spent £120 on it on FIFA game packs, his addition to it was akin to someone addicted to gambling/drugs , I have refused to let him have any game with any paid loot box system in it. Hang your head in shame EA. @Paul Blachford: It's your kid to look after not EA's, learn to hide your wallett. Telling him he's not allowed to play a games that have loot boxes because he fell for one of the oldest psychological traps in existence is punishing him for someone elses crime a weakness on your part. If he was akin to someone addicted to gambling or drugs then shame on you for not looking at your child as much as your phone. @ Christopher Barnes, at least address the points made with loot boxes before you succumb to insulting me and my parenting skills. FIFA ERSB rating would assume that gambling was not part of the game, Soderlunds comments that a young teenager is mature enough to realize this isn't for him. Incredible! Instead of understanding that people can take advantage of other people through misdirection, underhanded tactics and psychology, the "game designer" blames it on the parents/users. Of course, there are no "bad" practices in their industry.. no sir! Ironically, it is the same argument used by players abusing glitches. "I did not put the bug in the game, I merely exploited it, because if it's in the game, it's in the game, right EA?" The important difference being that when you have to justify how you treat video game code to support it is fun, but when you have to justify you treat other humans to your mirror image it gets kind of sad. Then again, too many people live in a world where it is sufficient when two things are vaguely similar to be immediately referenced as a means to push away all responsibility in a fashion the would make Pontuis Pilatus blush. Kids have been lifting wallets to have fun since coin op. :) Now we just point fingers and bicker on the internet. Is anyone else thinking that maybe EA shouldnt give any interviews for awhile?